- Il Fatto Quotidiano (Italy) September 7, 2015 - Scommettiamo che... continueranno? - Futbolboricua (Puerto Rico) January 8, 2015 - ¿Quién es Wilson Raj Perumal? - Mot Te Gioi (Vietnam) December 13, 2014 - “Vua cá độ” có nhúng tay vào trận Việt Nam - Malaysia? - EA3RF (Egypt) December 7, 2014 - بالمستندات .. أكبر فضيحة فساد فى الكرة المصرية والعمولات وغسيل الأموال "عينى عينك" ! - Melville House (USA) July 14, 2014 - What’s juicier, soccer match-fixing rings or scholarly peer review rings? - The Economist (UK) July 10, 2014 - How high does it go? - Declanhill.com (Canada) July 4, 2014 - Tales of Cameroon fixing, ISIL vs the Sunni tribes and who is Wilson Raj Perumal? 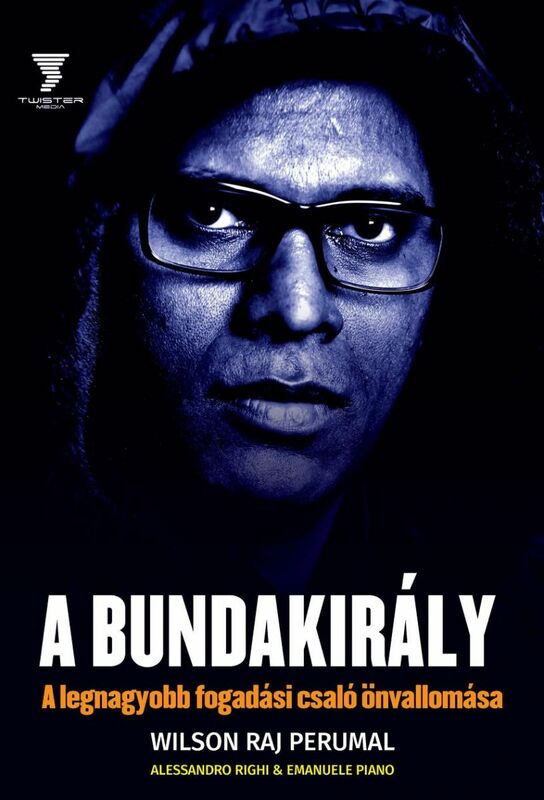 - Fourfourtwo (Hungary) July 1, 2014 - A FourFourTwo.hu megszerezte a Der Spiegel és a Bundakirály beszélgetését! - Animal Politico (Mexico) June 18, 2014 - Árbitro vendido… ¿o incompetente? - Foreign Policy (USA) June 16, 2014 - Just another Nigerian scam? - Cand (Vietnam) June 10, 2014 - World Cup 2014 có thể bị dàn xếp? - Toronto Star (Canada) June 9, 2014 - Will match-fixers target World Cup in Brazil? - BBC Sports (UK) May 29, 2014 - Fifa World Cup 2014: Could matches be fixed in Brazil? - Weszto (Poland) May 10, 2014 - Co ma singapurski szef piłkarskiej mafii do Nalepy i Czekaja? - Prosport (Romania) May 8, 2014 - "Kelong Kings: Mărturiile celui mai prolific aranjor de meciuri", cea mai controversată carte a momentului. Raj Perumal: "Am trucat meciuri la JO de la Atlanta". 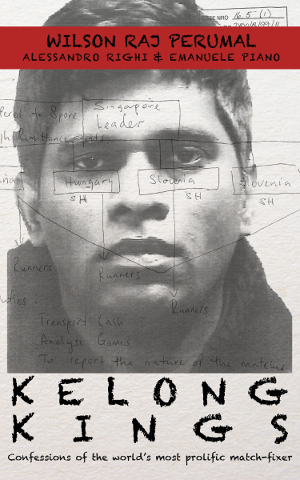 - Asiaone (Singapore) May 8, 2014 - Bigger fish unveiled in Wilson Raj's kelong e-book. - Die Welt (Germany) May 2, 2014 - "Ich war der unbesungene held"
- Milliyet (Turkey) April 28, 2014 - "Nijerya şike yaptı"